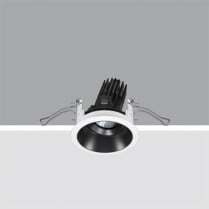 Round recessed luminaire with contact frame. 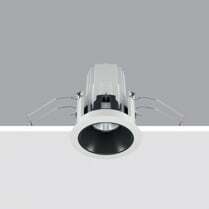 Adjustable version that rotates internally by 355° and tilts by a maximum of 30°. 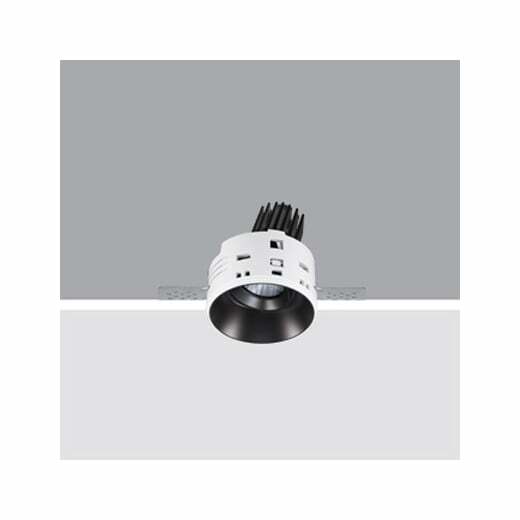 The swivel unit rotates in a set back position in relation to the surface of the ceiling in order to guarantee precise, comfortable light diffusion and reduce direct glare significantly. The swivel unit body is made of die-cast aluminium with a radiant surface that guarantees optimum heat dissipation. Metallised, thermoplastic, high definition reflector ­ medium optic (25°). Die­cast aluminium structure installed flush with ceiling. 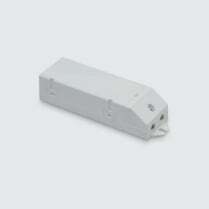 Adapter for false ceilings between 12.5 and 25 mm thick. Steel rotating parts. 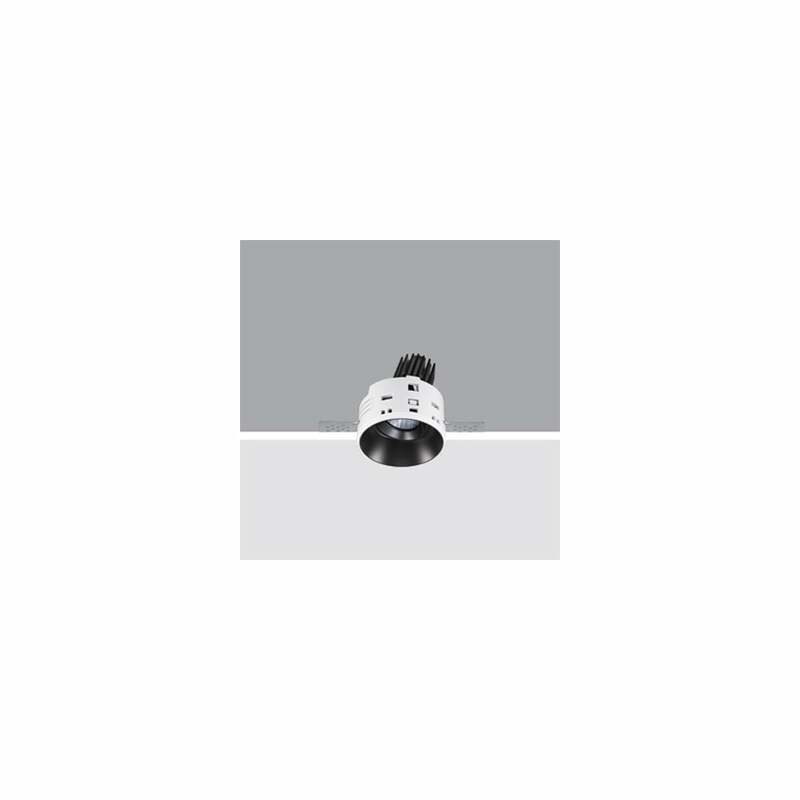 The rings inside the recessed body and the swivel unit are made of thermoplastic available in a range of painted and metallised finishes. Safety glass included Quick and easy tool free assembly. High color rendering index 2700K LED. 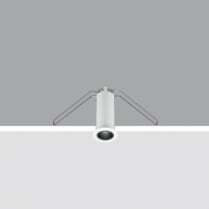 For flush with ceiling installation, an adapter is fitted according to the thickness of the false ceiling (12.5 to 25 mm). 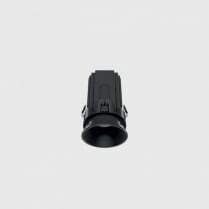 The following filling and finishing operations are simplified by a special protection template, and the luminaire is recessed in the adapter by means of an anti-fall steel wire spring. Colour finish white trim with black baffle. Other colour finishes available on request.